Julie received this hand-me-down from her mother–it was her prom dress from the 60s. It had an itty-bitty waist and was much too small, but between the fabric and sentimental value, it had some major potential. 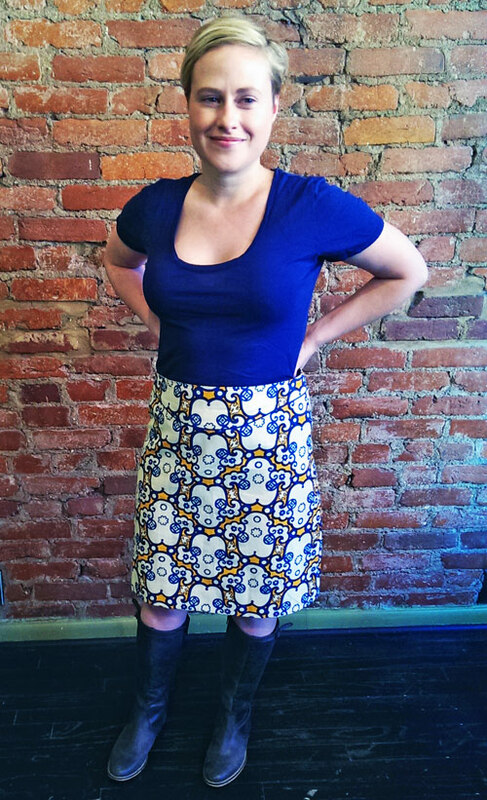 We agreed to turn it into a skirt. 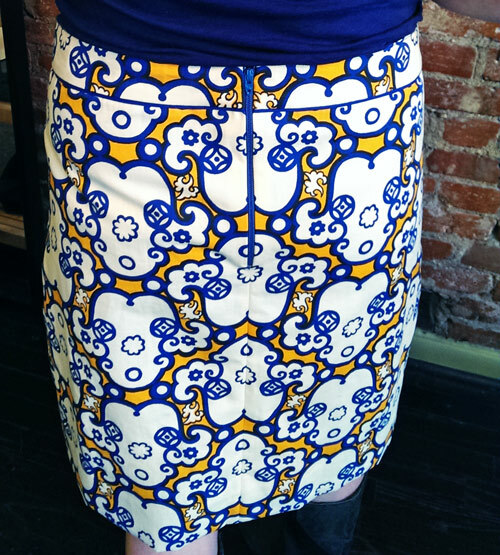 Julie mentioned how a co-worker of hers had a skirt with an amazing waistband. 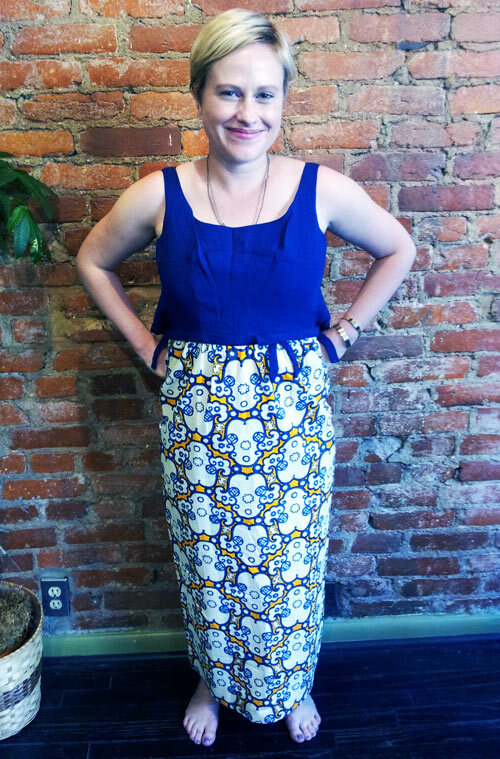 She showed me a picture, and I was totally on board because I have already added that same flattering waistband to other designs. Here’s that 60’s prom dress! What you can’t see here is that it is so crazy tiny and will make no attempt at closing in the back. But everyone knows you can get more wears out of a skirt than a dress anyways, right?? 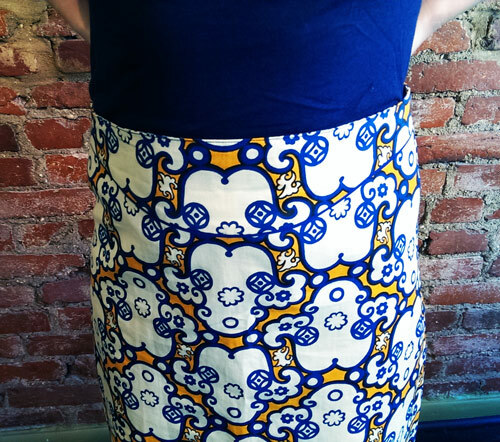 I figured out the placement of the skirt on the fabric (removing any old stains), tailored the sides, patterned the waistband, added a blue stripe to the bottom of the band to make it pop, and finished it off with an exposed navy zip in back to play off of the pattern. 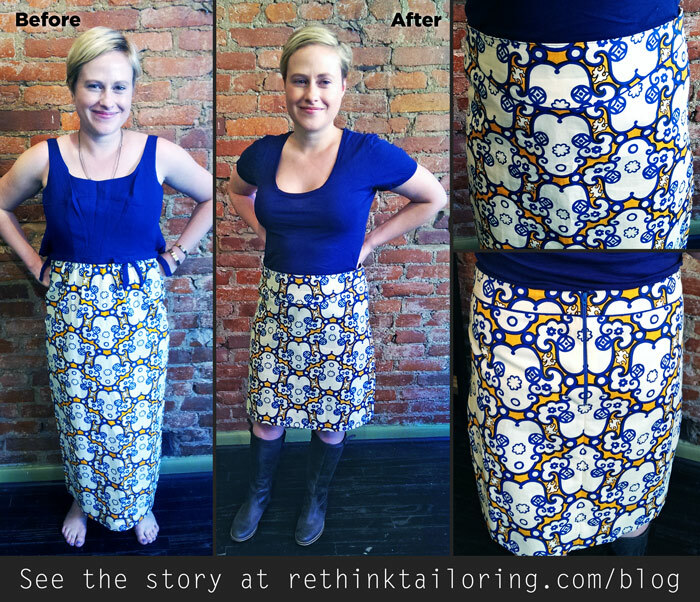 There you have it–a great modern skirt that you never would guess was recycled from a prom dress! Do you have an old dress with sentimental value that you want to hang onto? Email me about it at kristen@rethinktailoring.com and we can brainstorm!